Constantly in use since its first publication in 1879, this book is the definitive reference work for all fluid dynamicists. 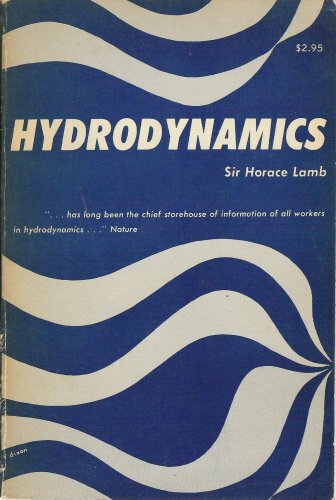 Despite the pace of modern research and the advent of high-speed computers, Lamb's work remains a relevant, timeless classic. In these notes we study liquid layers, capillary interfaces and floating bodies. Leading term in the associated equilibrium equation for the interface is the mean curvature. In the case of liquid layers no volume constraint or contact angle occur.